Alex Wikstrom works at Stop and Shop in Arlington, MA and is a member of United Food and Commercial Workers (UFCW) Local 1445. He is also a member of the Cambridge/Somerville branch of Socialist Alternative. Why are Stop and Shop workers ready to strike? 31,000 Stop and Shop workers across Southern New England, represented by 5 different union locals, have authorized strikes. Our contract is up and the company is trying to take away our benefits. They are trying to take away our time-and-half Sunday and holiday pay, cap our wages to just $18.50 no matter your tenure with the company, take away a week of vacation from people who have worked here for five years, and take away our pension, forcing us to take a 401k instead. 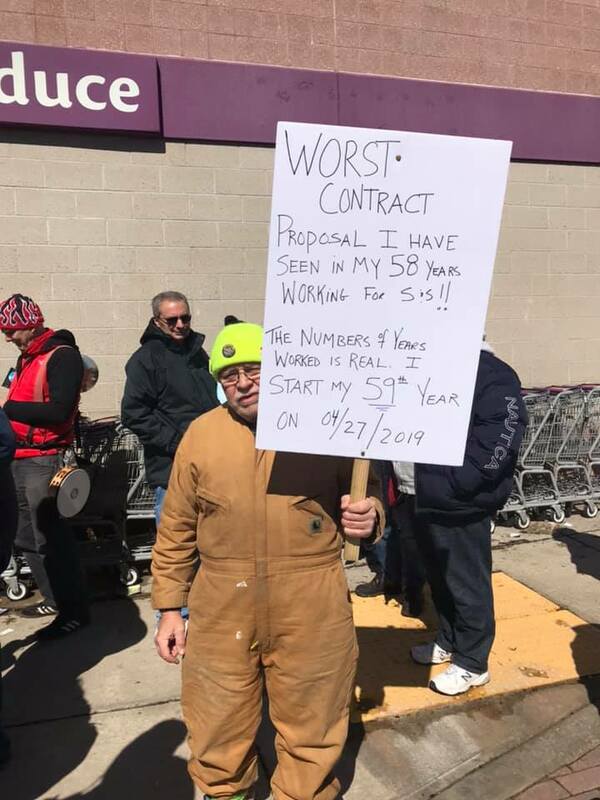 At Stop and Shop a lot of us need the extra pay from the time-and-half and those who have been working at the company for a long time will be screwed out of the extra week they are owed and the retirement they have paid into along with getting their pay cut. What role has the union played in this struggle? My union is UFCW 1445. The union has played an important role in this struggle. When a person starts working at Stop and Shop they automatically join the union, so from the beginning we have an organization uniting us. On a day to day basis, the shop stewards keep us informed with the goings on within the union and what is happening with the company. They are our voice when dealing with the company. For this possible strike, the shop stewards are all enthusiastically on board and are organizing. The membership also voted on whether to strike or not and it passed unanimously so we could go out really any day now. What I would say we need to win this fight is to just strike. The union needs to stop fearing the idea of a strike and pull the trigger. My coworkers are ready to strike; they want to keep their benefits. These cuts affect every worker from long time fulltime to part timers who just joined. We can win if the union puts their faith into the workers. But if they don’t it will be like every other time the contract has run out and it will be disappointing and frustrating to a lot of us. In the past the union would call for a vote on a strike and then never carry it out. Many of us do not want that to happen again, especially given what is under threat in this new contract. We are ready to fight and we can’t win if we don’t fight back!